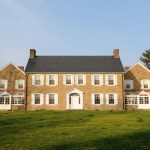 We were contacted by the New Jersey developer while the house was still in the design phase. 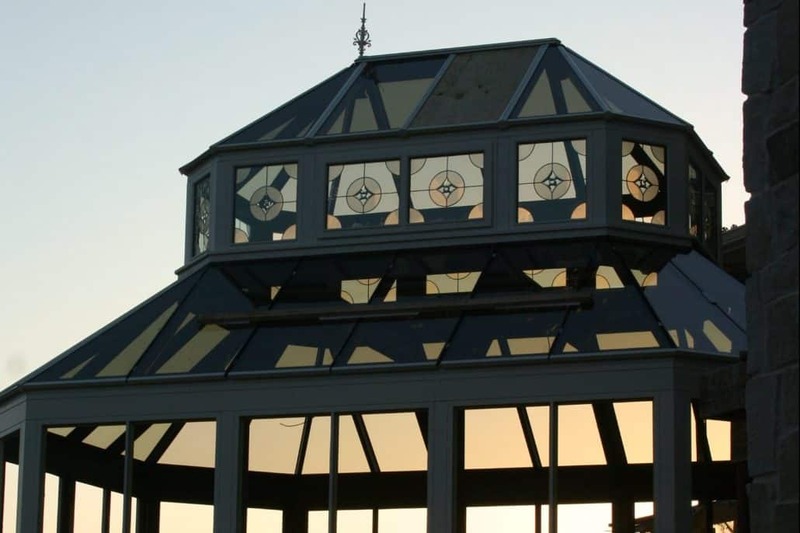 Working closely with the architect, Larry Appel, and the homeowner, we designed a modified Victorian-style bay conservatory with a roof lantern. 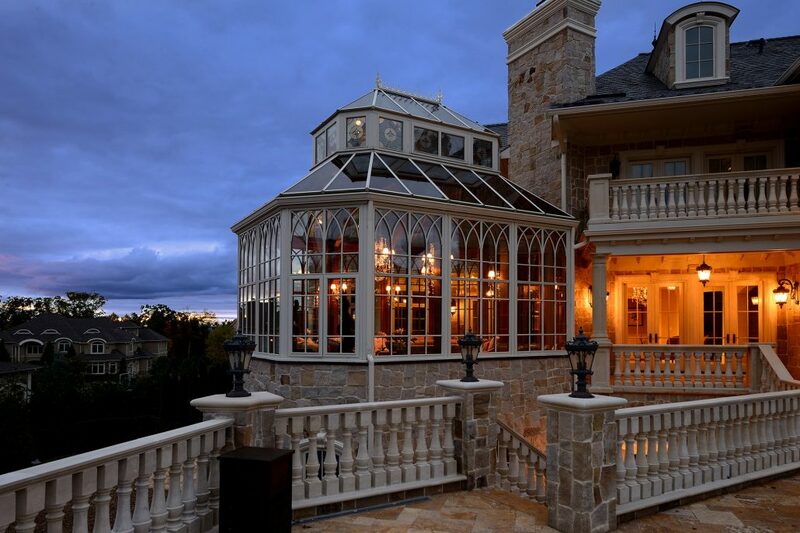 The home has a very traditional design, with the mahogany conservatory as a showpiece of the house. The room is 500 sf., and overlooks the owner’s in-ground swimming pool. 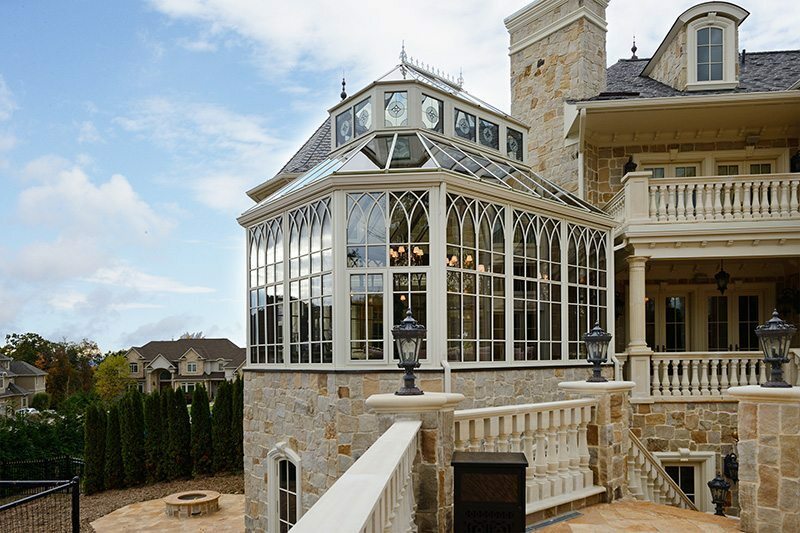 The tall side walls float the lantern roof like a halo. 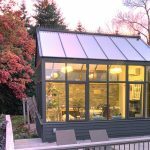 The homeowner and architect met with Conservatory Craftsmen and were thrilled to have the option of building this signature conservatory from Sepele Mahogany grown in sustainable-growth plantations. The look and character of the wood gives stunning detail to this house which, in itself, has magnificent architectural detail. All of the interior finishing is also done in mahogany. Special wood finishes, designed in Sweden, prevent the bright sun from fading the fine detail of the interior space. Chandeliers, sought out and installed by the owners and interior designers, weigh over 500 pounds each and are hand-made crystal. 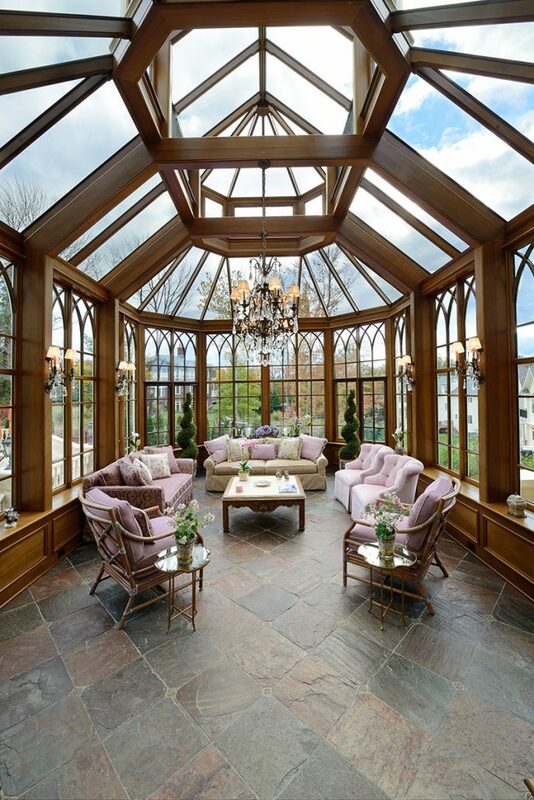 These chandeliers hang easily from the steel portal frames that support the conservatory structure. 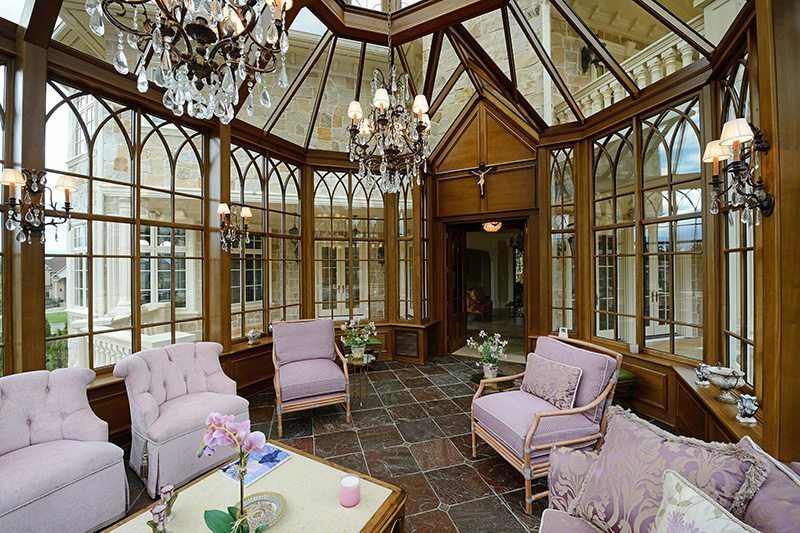 The gothic arches in the side wall glass are particularly impressive. These specialty muntins are hand cut from mahogany and applied over inner spacer bars in the glass, we call this True Divided Lite and it gives the appearance of individual panes of glass. The roof lantern windows are leaded and have glass bevels to catch the sunrise and sunset and cast lovely rainbows about the room.